Kate Hubbard began her writing career as a children’s author, of fiction and nonfiction: two short biographies, of Queen Victoria and Charlotte Bronte (Short Books, 2003 and 2004), followed by a historical novel — the fictionalised diary of Anastasia Romanov, youngest daughter of Russia’s last Tsar. Her interest in Queen Victoria – by no means exhausted – lead to her first nonfiction book for adults: Serving Victoria: life in the royal household (Chatto & Windus, 2012), which follows the lives of six members of the household, three men and three women, as they experienced the Victorian court and the Queen herself. Serving Victoria was shortlisted for the Costa Biography prize, 2013. 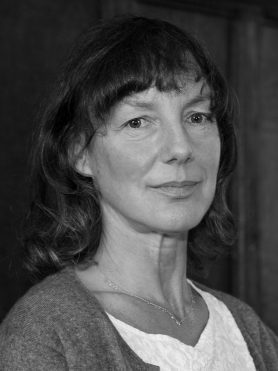 Since reading English at Oxford Kate has worked variously as a book researcher, a publisher’s reader, a teacher of adult literacy, a book reviewer for the Times, the Spectator and the Literary Review, a volunteer reader in a primary school, and a seller of books in the Persephone bookshop. She still writes occasional reviews for the Oldie and works as a freelance editor, of fiction and nonfiction. She grew up in West Dorset, where she still lives and writes and grows vegetables. She is currently working on a life of Bess of Hardwick, focusing on Bess as a builder of great houses, within the context of the male-dominated Tudor building world.